Warrenpoint Port is Northern Ireland’s second commercial port, handling over three million tonnes of cargo annually. We caught up with Warrenport Harbour Authority CEO Peter Conway to find out more about the success of this vital gateway to the UK and Europe. 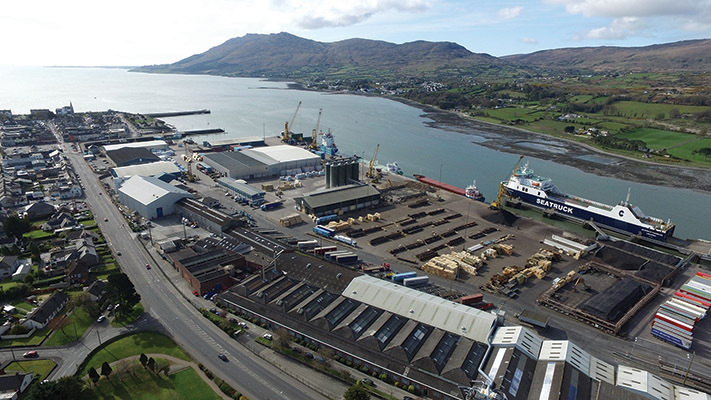 Even through the most challenging economic times that this island could throw at it, Warrenpoint Port has continued to thrive and develop, evolving into Northern Ireland’s second-largest commercial port and one of the most important in all of Ireland. At the 2016 AGM in June, a 3.1% increase in tonnes handled was announced as well as £5.3 million turnover for the 2015 calendar year. Cargo volumes have increased to a record level, while the port continues to invest to increase the scale of its business by providing infrastructure to meet not only current demands but the expected increase in demand in future years. The management team continue to seek out new business opportunities to diversify business trades and good examples of this are the cement export facility and biomass. To this end, in December 2015, the board agreed to the construction of new cement silos, a project which will cost in excess of £2 million and will be completed later this year. In an effort to predict future demand, the directors are undertaking a master planning exercise which will determine the strategic direction of the business over the next 30 years and highlight investment requirements so that the port can continue to play a very important role in the regional economy. The port’s main areas of generating income are through: charges for provision of port facilities to commercial, fishing and recreational vessels; charges for handling of goods being transported through the port; charges for storage of goods on port; and rental income from provision of offices and other accommodation to port customers. Warrenpoint’s geographic position at the centre of Ireland’s economic corridor, equidistant between Belfast and Dublin, constitutes a major strategic advantage. The port aims to be the preferred location for the import and export of goods and thus continue to be a major economic driver for its hinterland. The principal corporate objectives of Warrenpoint Port are to operate profitably and in a manner where Health & Safety and environmental awareness are at the highest standards, to be a strong regional economic driver and good corporate citizen, to invest in people and to afford stakeholders value and transparency. “We’re the second port in Northern Ireland and the fifth on the island –we’re actually bigger than people realise,”notes chief executive Peter Conway. “Warrenport has a long association with the sea and ships, and the modern port was developed in 1974 and has been in constant development ever since. Warrenpoint Port also benefits from being able to cater for a mixed customer base. “Warrenpoint is like a microcosm of a large port than a medium-sized port,”the CEO continues. 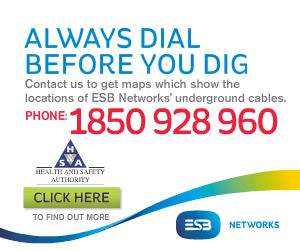 “We’re more like a smaller version of Dublin or Belfast Ports due to the variety of services offered. “We have roll on, roll off twice daily to Heysham in Lancashire; a container service to Bristol three times a week which calls in to Dublin and Cardiff; bulk cargo imports - mainly of animal feed from Canada, Ukraine, France, Denmark and Germany –and bulk exports of cement for the Quinn Group to England and the continent.